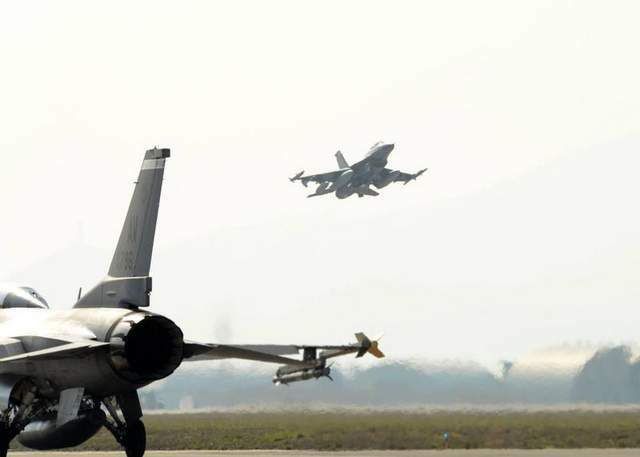 Six F-16 fighter jets and 120 personnel from the 31st Fighter Wing, Aviano Air Base, Italy, will begin a joint training operation Thursday at Lask Air Base, Poland, through Oct. 8, Pentagon spokesman Army Col. Steve Warren announced Sept. 3. In addition to Air Force units headed to the Baltics, members from the 31st FW will also participate in Ample Strike, a NATO-led exercise with 11 other nations in the Czech Republic. Farther east, Rapid Trident — the first exercise to include 200 U.S. ground troops since the Kiev government began fighting pro-Russian separatists — will take place Sept. 15 to Sept. 26 in Yavoriv, Ukraine. The rotations are scheduled under Operation Atlantic Resolve, an ongoing effort to demonstrate U.S. commitment to NATO allies and European partners in the midst of Russia’s repeated aggression toward Ukraine. Fighters from the 31st FW — the only U.S. fighter wing south of the Alps — deployed to Poland in March when tensions between Russia and Ukraine came to a turning point following Russia’s annexation of Crimea earlier that month.